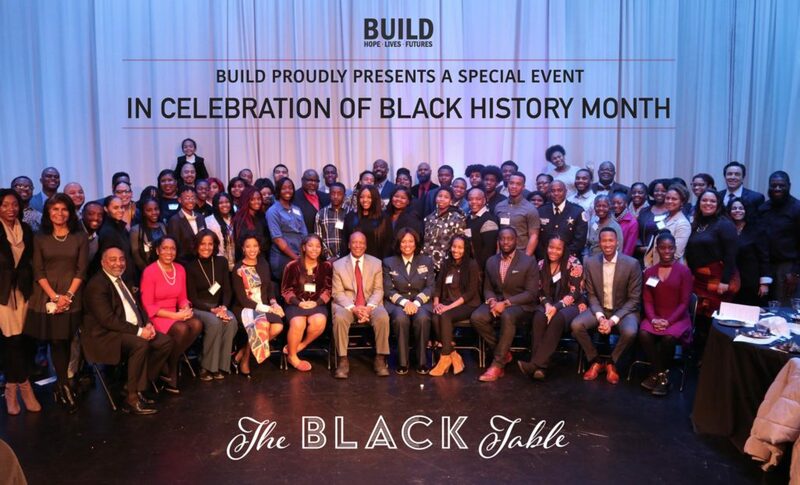 We started Black History Month off strong at BUILD by celebrating our 3rdAnnual Black Table Luncheon. 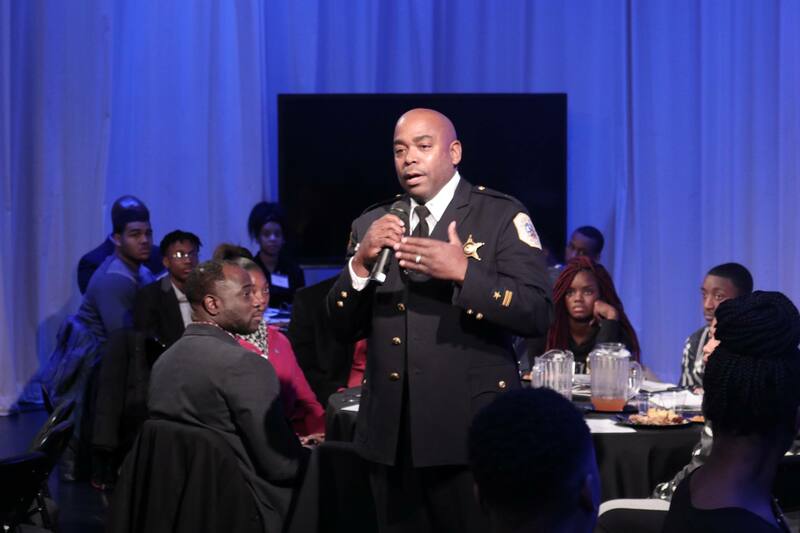 Hosted at ABC7 studios in Chicago, this event gave African-American teens a chance to sit and eat lunch with accomplished African-American leaders and learn about their different paths to success. The day began with BUILD CEO Adam Alonso welcoming this year’s guests to the event. He then passed the microphone off to Lieutenant Governor of Illinois Juliana Stratton, who provided opening remarks. Diana Palomar and Terrell Brown of ABC7 served as moderators throughout the day, and Brown shared his story with the crowd as everyone enjoyed lunch. Tables at the event were comprised of teens from some of Chicago’s most respected youth organizations, 2-3 guest speakers and a lead mentor to help facilitate conversations. Aspirations: what did you dream of growing up? How did your dreams evolve? Experience: What happened in your life to set you down a path towards success? People: who inspired you along the way? Legacy: what do you want to be remembered for? Following the discussions, youth had an opportunity to stand and address the crowd to talk about what they learned from the leaders at their table. Then, it was the leaders’ turn to stand and address the crowd. They shared their stories and the messages they hoped for the youth to walk away with from the event. A powerful moment came when Illinois Secretary of State Jesse White stood to address the crowd. Dr. Martin Luther King, Jr. was his minister in college, and White shared some of the lessons Dr. King taught him in those years. He then offered inspiring words for the youth in attendance. We want to thank ABC7 Studios for hosting this year’s Black Table Luncheon and Hyatt Hotels for their sponsorship. We also want to thank all of the incredible guest speakers who helped inspire the leaders of tomorrow by sharing their time and wisdom. Watch the ABC7 News story about the event here!